Our final Accepted Student Day panel, featuring Jake Edmunds. THANK YOU to Sarah McDowell, Ramsey Walker, and Juliana Frederick for giving their time to call accepted students in their majors. We appreciate the extra time you gave to encourage students to submit their deposit! Check out Rachel Ballasy and Zach Gibson featured in The Bridge. 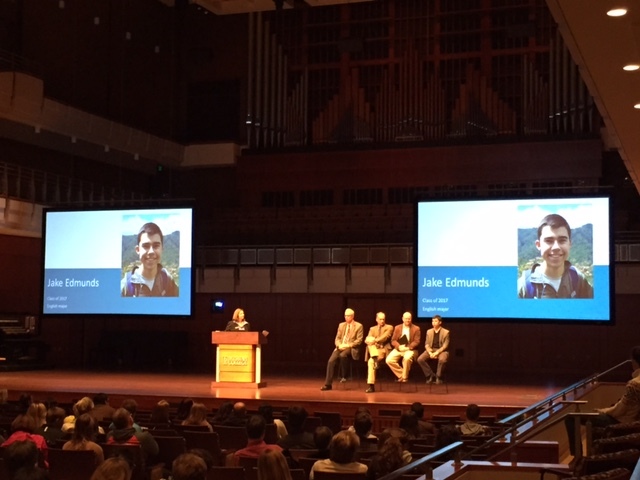 Shout out to Jake Edmunds for serving as our student panelist for our final Accepted Student Day on Friday, March 27. Julia Brantner & Sarah McDowell attended IMPACT Youth Retreat in Ocean City, MD this past weekend. Thanks for giving up your time for this recruitment event! On March 23 you received the 2015-2016 Ambassador Program Commitment Form. Please return this form confirming your participation in the Ambassador program next year. Forms are due to the Admissions Office no later than Thursday, April 2. Seniors, we will miss you, but you do not need to return the form – 46 days until graduation! Just a reminder that the last Open House of the year is quickly approaching! 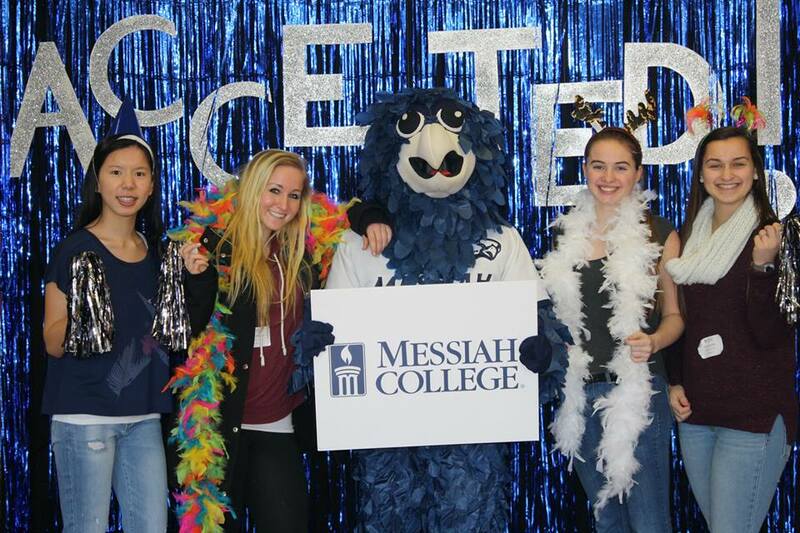 Please sign up on the ambassador website or email ambassadors@messiah.edu to sign up for tour times or greeting. Just a reminder that greeting is at 8 a.m. and tour times are at 11:00 a.m., 12:00 p.m., 1:00 p.m., 2:00 p.m., and 2:45 p.m.
Also we need about 10 residence hall rooms to show for the day as well. The doors would need to be unlocked from 11:00 a.m. till about 4:00 p.m. Email ambassadors@messiah.edu if you can show your room! The Admissions Call Center is hiring Telecounselors for Fall 2015! If you love talking with prospective students about Messiah College and enjoy talking on the phone, this is the perfect job for you! If you’re interested, please contact Rachel Shenk at RShenk@messiah.edu. Please be aware that we are still in need of overnight hosts of the upcoming Overnight Experiences! Check out the website to sign-up, or email ambassadors@messiah.edu if you are available. 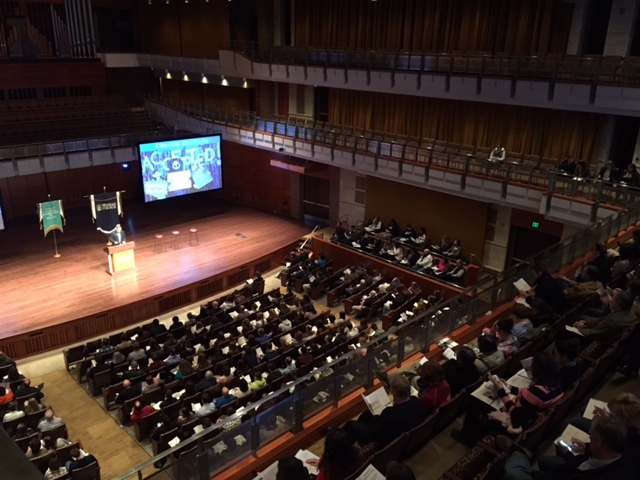 Parmer Hall filled for our Science, Engineering, & Health Accepted Student Day on March 13! Thank you to Devin Esch, Adam Stern, Erin Groff, Maegan Keperling, and Eileen Barker for their work at the Lancaster Accepted Student Reception on Monday, March 9. We really appreciate the time you invested in this group of accepted students! Congratulations to Brad Steinweg for successfully passing the first CPA exam! Shout out to Liz Gallo on earning an internship with the New York Mets for this upcoming summer! Liz will be interning with the New York Mets for their sports network, SportsNet New York, or SNY, which is owned by the New York Mets, Time Warner Cable, and Comcast. She will primarily be working in the Newsroom Department, which is responsible for the day-to-day planning of SNY’s on-air schedule. Her responsibilities will be working to produce Mets programming such as Mets Pre and Post Game, Mets First Pitch, Mets Insider, Kids Clubhouse, and GEICO SportsNite. In addition, she will be assisting in operations and responsibilities such as screening/logging of baseball games, press conferences and interviews, and locker room interviews with coaches and players. We still need rooms to show for our last 2 Saturday Visits- April 25th and May 2nd. Your room would need to be open from 10:30-12:00pm. Email ambassadors@messiah.edu if you are interested! Tomorrow, Tuesday, March 24 from 6:00 – 7:00 pm, Dr. Kate Simcox will be leading a professional development opportunity in Jordan Atrium. The session will be called “Communicating Confidently” and will provide valuable insight for everyone on a personal and professional level. Ambassadors are expected to attend this opportunity, and snacks will be provided! On March 23 you will receive the 2015-2016 Ambassador Program Commitment Form. Please return this form confirming your participating in the Ambassador program next year. Forms are due to the Admissions Office no later than Thursday, April 2. Seniors, we will miss you, but you do not need to return the form – 55 days until graduation! The Accepted Student Photo Booth on Friday, March 6! Thank you to Ambassadors Garth Martin, Eric Moore, and Katherine Edelman for sharing at the Accepted Student Day for the School of Business, Education, and Social Sciences. Shout out to Matt Phillippy and Jake Edmunds for wearing the Fandango costume for our Accepted Student Days. We appreciate you both! On Tuesday, March 24 from 6:00 – 7:00 pm, Dr. Kate Simcox will be leading a professional development opportunity in Jordan Atrium. The session will be called “Communicating Confidently” and will provide valuable insight for everyone on a personal and professional level. Ambassadors are expected to attend this opportunity, and snacks will be provided!